Made to Measure Curtains and Blinds Wimbledon SW19. Curtain Creation – Huge range to choose from for made to measure curtains and blinds in Wimbledon. Curtain Creation are a family run business with over many years of experience helping customers choose made to measure curtains and window blinds for any room in their home. We receive many calls from customers in Wimbledon, SW19 looking to have curtains or blinds made for their home. With such a huge selection of patterns, colours, soft furnishings and styles to select from it can be hard to know the best ones to choose to compliment the rooms in your home and that is where Curtain Creation can help! Our free home appointment service is designed to help you make the right choice whether it is made to measure patterned curtains, lounge or bedroom curtains or thermal/insulated curtains, Velux blinds, and wooden window blinds. You are bound to find the right ones for you! We work very closely with our customers until they are totally happy with their selection of curtain or window blind material, colour or pattern. Our goal is to help compliment your home and make your curtains or blinds just as a much a feature as the furniture and decor! How to choose the right curtains or blinds for the rooms in your home. Ready-made curtains in many of the home furnishing departments in stores very much limit your options both in terms of pattern and style and quite often do not add to the character of the room but merely serve a purpose. 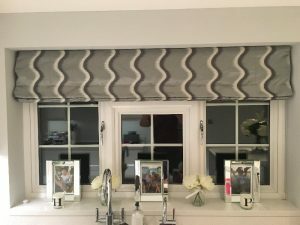 At Curtain Creation in Wimbledon we have lots of experience and understand the unique and distinctive look you want to achieve. We can help with the different styles such as a pencil finish, tailored curtains, cottage pleats or tie tips. We can also fit valance tops/pelmets/tiebacks and curtain accessories which make a great feature to compliment your curtains. We don’t just do curtains in Wimbledon – we do window blinds as well. Booking a home visit in Wimbledon to discuss made to measure curtains or window blinds is very easy. Just call us on 020 8669 7243 to make an appointment for a day or evening visit. 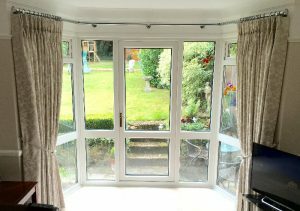 A member of Curtain Creation will take a few details and arrange a visit to discuss your requirements.